Toyota Yaris 1.5 Hybrid Bronze Bi-tone 5dr CVT 2019 Review | What Car? What Car? will save you at least £1,349, but our approved dealers could save you even more. A two-tone special edition that’s no longer available. This engine is borrowed from the Prius, albeit with a smaller battery pack. 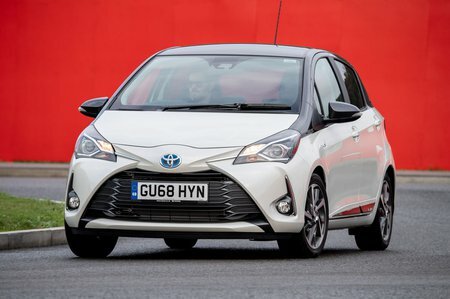 It is probably the quickest Yaris in-gear, thanks to the extra assistance from the electric motor, but the CVT gearbox is noisy, sending the revs flaring when you try and accelerate.